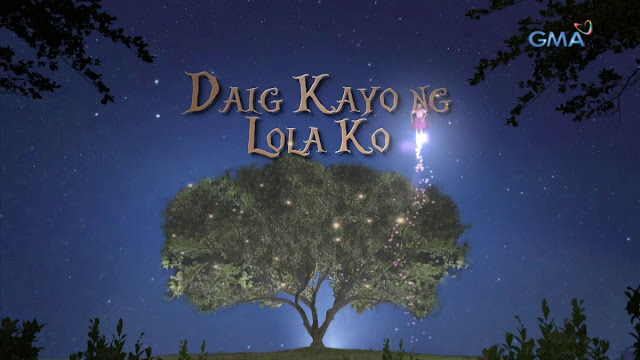 Home DAIG KAYO NG LOLA KO ENTERTAINMENT GLORIA ROMERO GMA NETWORK GMA Newest Family- Oriented show "Daig Kayo Ng Lola Ko"
GMA Newest Family- Oriented show "Daig Kayo Ng Lola Ko"
This April 30, 2017, GMA Network will launch their newest fantasy anthology, kid friendly and family oriented show 'Daig Kayo Ng Lola Ko' starring Gloria Romero as the fairy lola Goreng and the child stars Chlaui Malayao ,as Moira an orphan who was adopted by the mysterious family of Espino , and David Remo , as Elvis Espino the youngest grandson of Lola Goreng. Elvis has constantly playful rivalry with Moira and Jilian Ward who plays as Alice Espino the sweet, loving, and kind grand daughter of Lola Goreng. Daig Kayo Ng Lola Ko feature celebrity guest in the pilot episode the Kapuso Primetime Queen Marian Rivera Dantes.